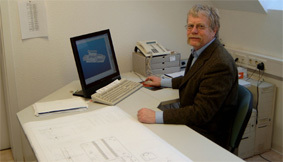 The shipyard Hermann Barthel GmbH offers its customers the excellent service of a professional shipbuilding company from one source. With thirty staff members and the latest technical equipment we are a competent partner to carry out constructions, reconstructions, and repairs of your ships. Benefit from the small-scale structure of our company. Due to long years of experience and a first-class offering we can provide for our customers an optimal quality standard. A well-oiled team and a technical and optical flawless, well equipped shipyard are available at your disposal. 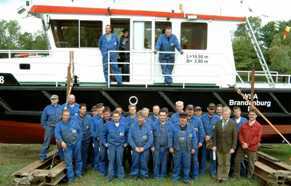 Among our regular clientele the shipyard Barthelwerft is well known for its reliability.